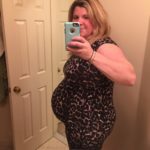 39 Weeks Pregnant Thoughts and Feelings – Kids will always throw you for a loop. Always! Early on in this pregnancy (at 12 weeks), the baby’s bladder was a little enlarged, so we’ve had extra ultrasounds this pregnancy to keep an eye on that. His bladder has been normal ever since 12 weeks, which is awesome, but we’ve continued to keep an eye on him just in case. At the 30 week ultrasound the baby looked great and was already head down. At the 38 week ultrasound, one week ago today, the baby was still head down and was measuring a week ahead. Everything looked really great and both of my doctors said everything looked good to go at least to 39 weeks. There was absolutely no reason to induce, which I was fine with! I’d much rather the baby come on his own. 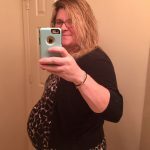 Well, on Monday, at 38 weeks and 5 days pregnant, I went in for my regular OBGYN appointment and guess what… the baby was no longer head down and was laying across my abdomen (transverse). I’ve watched enough “A Baby Story” episodes and enough Grey’s Anatomy (lol) to know that a transverse baby means a c-section! 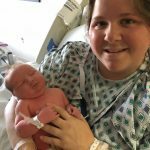 I have always, always, always said, I’d prefer a vaginal delivery but if we need a c-section, it is what it is. I have no shame in getting a c-section. What matters most is having a healthy baby, no matter the delivery. 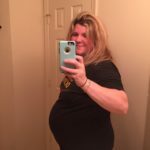 At this point, what we decided was to hold off on the c-section and to see if the baby turns on his own before my due date (7/13). We do have a c-section scheduled for Monday (7/10), just to have one on the books as they fill up quickly, but we’ll see what happens. I have another ultrasound today and my 39 week OBGYN appointment tomorrow. The hope is the baby is head down again and comfy in the birth canal, but we’ll see. If I go into labor before Monday and the baby is not head down, I’ll have to have a c-section. It’s definitely uncharted territory but I’m thankful for friends and family members who have been through a c-section. You’ll have to send me your c-section advice on Facebook! I’d appreciate any advice you all have. Movement – He is very, very active! Like to the point where doctors are like, “how is he able to move this much at his size?”. I’m hoping we have a little football player growing in there! Symptoms – For the most part I’m pretty comfortable. I had some swelling last week, but this week hasn’t been bad at all. My blood pressure was pretty perfect on Monday and I’m hopeful it stays the same until the end of this pregnancy. 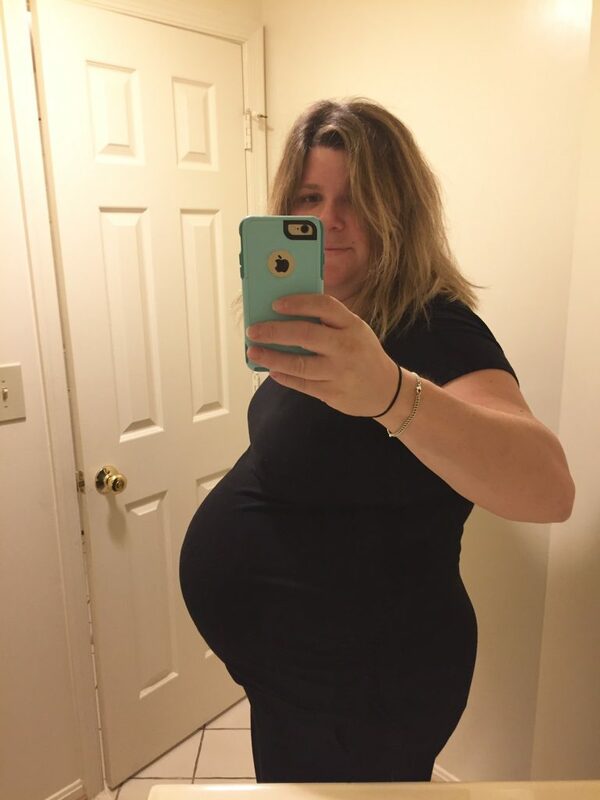 Appointments – I have an ultrasound today and then my 39 week OBGYN appointment tomorrow. Third Trimester To Do List Progress – We are as ready as we’ll ever be. 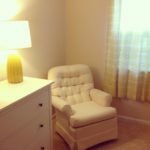 There are 3 things I’d love to get done before baby arrives, but not a big deal if the baby were to arrive today. In the Office – Everything is wrapped up in the office and I’m just working until the baby arrives. It is definitely easier having a baby over the summer versus during the academic year. I feel a lot less pressure and know it’s a good time to be away from the office. Diet – Eating at the end of pregnancy is interesting. I’m not able to eat a whole lot without my tummy being unsettled. There just isn’t a lot of room, so I try to stop eating before I get to that point. 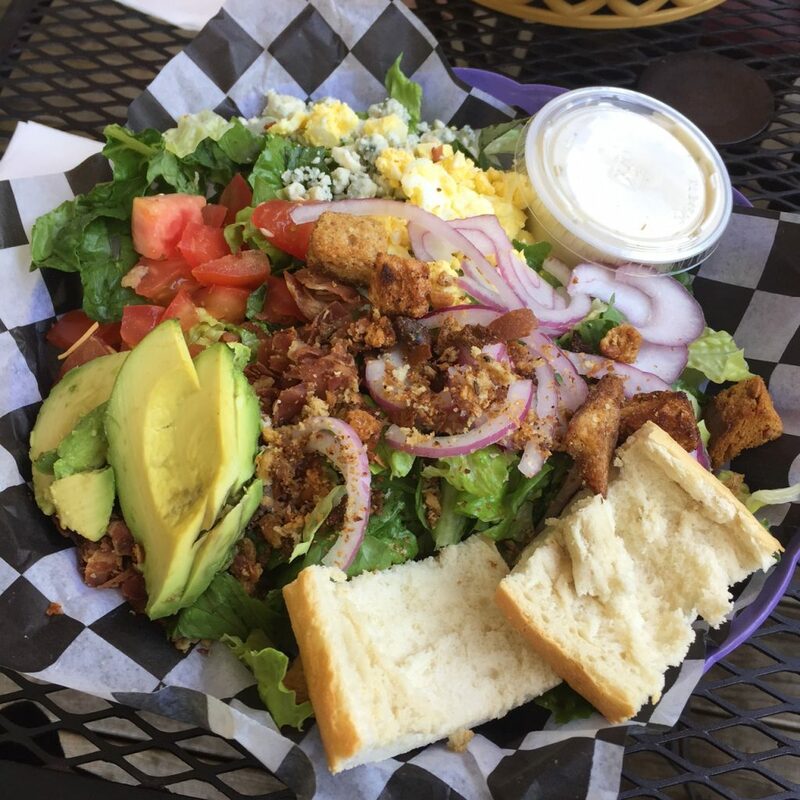 I’m still loving salads, eggs, veggies, and most proteins. Last night was the first time I’ve woken up in the middle of the night starving, so I had a small bowl of cereal. 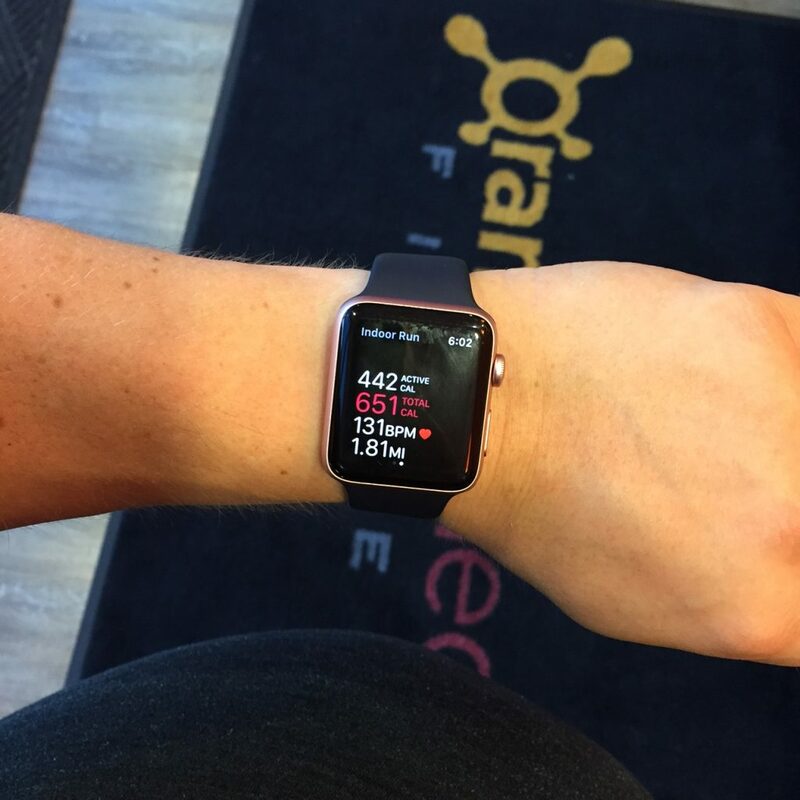 Workouts – Last Friday (38 weeks + 1 day pregnant) I went to what was most likely my last OrangeTheory workout of this pregnancy. It was an awesome workout, I felt really good, and my recovery post workout wasn’t bad. When Monday rolled around, I just knew it was time to rest and relax. I’m physically able to continue working out, but with labor being on the horizon, I’d much rather be rested and ready for that workout. I’m really proud of my OrangeTheory workouts this pregnancy and am proud I made it to the 38 week mark!